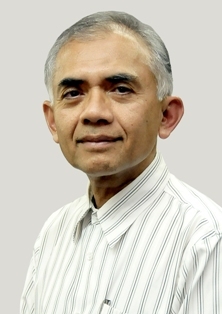 Dr. Mohammed Ali Berawi is an associate professor in the department of civil engineering, faculty of engineering, Universitas Indonesia and has extensive research experience in value engineering/value management and innovation in the context of infrastructure, construction, and manufacturing industries. Dr. Berawi has been involved in many national and international research collaborations and consultancies. 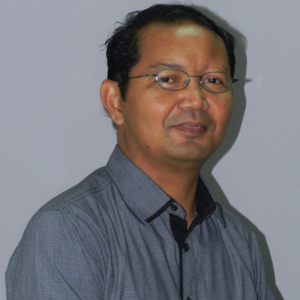 Dr. Berawi was selected as the most outstanding lecturer/researcher at the Universitas Indonesia (2009), a finalist for the UK Alumni Award (2008) and Toray Science and Technology Award (2014) and has been listed by Webometrics as one of the Top Scientists in Indonesia (2015-2017). His research leadership is reflected through his election as Editor-in-Chief of Value World, the journal of the Society of American Value Engineers (SAVE International) (2008-2014) and a scopus indexed journal, International Journal of Technology (IJTech). Dr. Berawi served as Lead Advisor to the Republic of Indonesia’s Ministry of Transportation (MOT) in 2012, Director of the Directorate of Research and Community Services (DRPM) at the University of Indonesia (2015), and he currently serves as Director of Center for Sustainable Infrastructure Development (CSID), Universitas Indonesia, Director of ASEAN University Network – Sustainable City and Urban Development ( AUN-SCUD) and Chairman of Standing Committee on Infrastructure Strategic Policies for Indonesia Chamber of Commerce (KADIN Indonesia). Dr Volkan Degirmenci is an Associate Professor in School of Engineering in the University of Warwick, UK. Dr. Degirmenci obtained his PhD in Chemical Engineering from Middle East Technical University, Ankara, Turkey, in 2007. Then he joined to the Molecular Heterogeneous Catalysis research group at Eindhoven University of Technology, Netherlands as a postdoctoral fellow in 2008. Next he moved to UK to the Queen’s University Belfast in 2012 where he was promoted to Assistant Professor in Chemical Engineering. He joined the School of Engineering at University of Warwick in 2015. The research interests of Dr. Degirmenci are in the field of heterogeneous catalysis and reactor design with a focus on microporous and mesoporous materials. 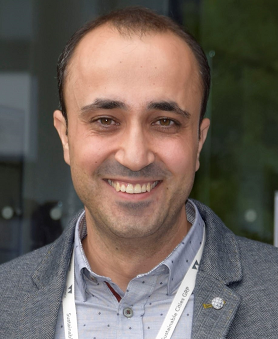 The topics of his recent research are directed towards the development of sustainable processes for biomass conversion, in-situ spectroscopy for the understanding of the reaction mechanisms and structure-activity relations in heterogeneous catalysis. In the School, he is the coordinator of MSc “Sustainable Energy Technologies”, and he is coordinating the International collaborations, developing international recruitment strategies, and lead on the development of strategic partnerships with external institutions. Associate Professor Dr. Anwar Usman received his bachelor degree in Physics from Gadjah Mada University, Yogyakarta Indonesia. He then continued his Master study in Institut Teknologi Bandung and Tohoku University Sendai Japan where he was awarded an M.Sc in 1993 and 1997. He continued on for his Ph.D in Tohoku University Sendai, Japan where he graduated in 2000. From 2003 – 2013, he was a Postdoctoral Research Fellow at various institution including: Max-Born Insitutute, Osaka University, Ecole Normale, and National Chiao Tung University. From 2013 – 2015 he was a Research Specialist at King Abdullah University of Science and Technology. 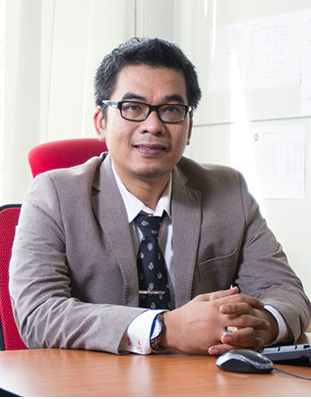 Currently he serve as Associate Professor at the Department of Chemistry, Faculty of Science, Universiti Brunei Darussalam. His research interest includes Light Matter Interactions, Photochemistry, Photobiology, Analytical Chemistry, Molecular Dynamics, Nanoparticles, Nanoscience, and Nanotechnology. Based on Google Scholar, he has 195 publications, 1877 citations, 23 index-h and 50 index-i10. 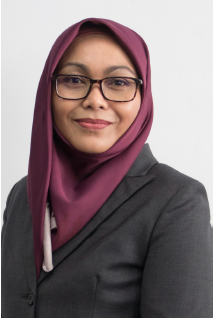 Dr. Haslinda Mohamed Kamar was born in 1970 and is currently teaching at the Faculty of Mechanical Engineering, Universiti Teknologi Malaysia. She graduated with B.Eng. (Hons) in Mechanical Engineering in 1993 and continued on to finish her Master and Ph.D from Universiti Teknologi Malaysia in 1997 and 2009 respectively. She was awarded Excellent Service Award for 2012 and 2017 by UTM. Her Expertise includes: Thermodynamics; Automotive air-conditioning; Wind energy; Thermal comfort & Energy efficiency in hot climates; Indoor air quality (IAQ); Natural ventilation as passive cooling strategy in buildings and Computational fluid dynamics (CFD) modelling and simulation.